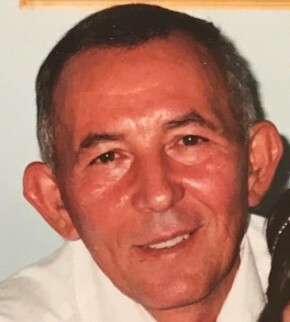 Enrico "Ed" Pucci, 79, of Glen Rock, NJ passed away on Sunday, March 31, 2019. He was born in Riesi, Sicily and immigrated in 1950. He resided in Glen Rock since 1976. He was a parishioner of St. Catharine RC Church in Glen Rock. Ed was a member of the Brick Layers Union of Bergen County and the Cosmos Club of Fair Lawn. He was an avid outdoorsman, and he enjoyed fishing and hunting. He and his wife were the owners of E&A Pucci Masonry Construction and Waterproofing Company of Fair Lawn/Glen Rock. He was known in the area for his exceptional craftsmanship. Beloved husband of 58 years to Antoinette (Sciotto) Pucci. Loving and devoted father of five children, Dr. Angela Pucci-Bender, Frances Gierut and husband Thomas, Dr. Richard A. Pucci and wife Alyson, Dr. Edward A. Pucci and wife Jacqueline and Dr. Anthony E. Pucci and wife Cynthia, all of Glen Rock. Cherished grandfather of 13 grandchildren, Anthony, Nicole, Eddie, Angela, Antoinette, Tommy, Anna, Richie, Ellie, Edward, Francesca, Antoinette, and Anthony. The family will receive relatives and friends on Wednesday, 2 – 4 pm & 7 – 9pm at Vander Plaat-Caggiano Funeral Home Inc., 13-31 Saddle River Road, Fair Lawn, NJ (201) 797-3500. A Funeral Mass is planned for Thursday, April 4, 2019, 10:30am at St. Catharine RC Church, 905 South Maple Avenue, Glen Rock, NJ 07452. Interment will follow at Maryrest Cemetery in Mahwah. The Vizzi family, Russell, Joey, Francis, Rosie, Joe & Marie, send our Deepest condolences to the Pucci family for their loss. Eddie will be greatly missed. I Russell was very fortunate to live in the same town as it afforded me the opportunity to visit with Ed and his wife Annette on many occasions. They are wonderful people, and we are proud to call them family.